What is the fascination with balloon bummed talent vacuum Kim Kardashian? Why is the dead eyed, plate faced, celebrity adulterer Amanda Holden a judge on Britain’s Got Talent? And why does our Editor always hide in the toilets when it’s his turn to buy a round at The Nag’s Head? 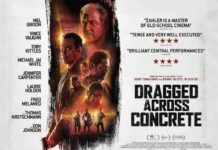 It’s a puzzle unlike Kelly McDonald’s new film which is more of a jigsaw puzzle (smooth link don’t you think?). Here she plays Agnes a small town, taken for granted housewife with a devoted blue collar garage mechanic husband (David Denman). She’s the stereotypical little wife with a meal always ready on the table for her husband and her two teenage sons. Drably dressed and meek in attitude she relaxes with a jigsaw which she’s so proficient at that she can do a 1000 piece puzzle in no time at all. Her quest for an ever more difficult puzzle takes her to that most unlikely of places, the jigsaw puzzle shop, which bizarrely seems to have survived any down turn in high street sales, where she finds an advert for someone looking for a puzzle partner to enter a competition. 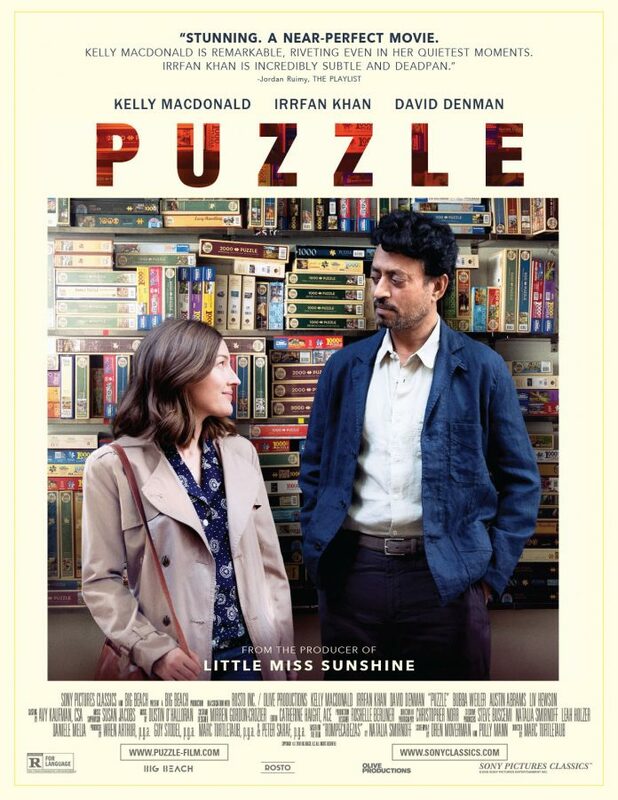 It’s Robert (Irrfan Kahn) a lovely yet highly competitive jigsaw player and it’s him who opens her mind to new ideas. Under his tutelage she becomes increasingly from her doggedly loyal and loving husband. Secretly meeting at his flat to practice any jigsaw puzzle the inevitable blossoming romance soon follows as they prepare for a speed jigsaw competition. 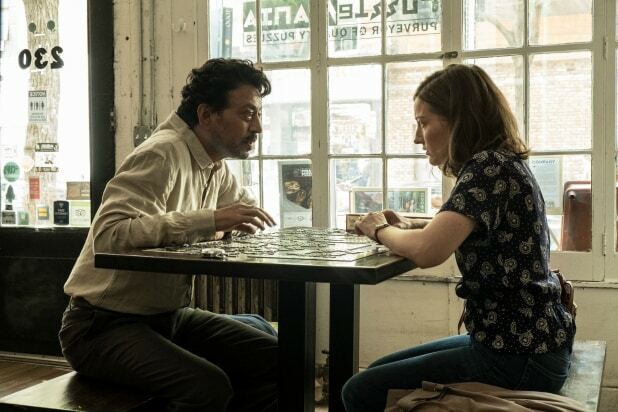 Puzzle is one of those very low key films that will easily slip under the radar but despite its slightly improbable premise (does anyone under 80 years of age actually do jigsaws anymore?) this is utterly delightful with three great performances especially from Denman when he realises his wife’s betrayal. Though this is a modern day drama its subject and setting seems in a past era but its topic of a person spirit being awakened is universal. We’re just hoping that if there’s a sequel it doesn’t do a crossover with the Jigsaw horror franchise. 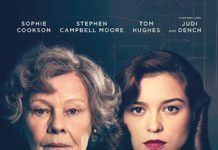 Here’s the trailer for Puzzle…….